Every year thousands of students from across the globe with a penchant for pursuing world class studies abroad at top universities/ institutions of the world, board flights to Australia. No surprise as it comes third in the list of best study abroad destinations, behind USA and UK. Australian universities and colleges offer an array of courses ranging from undergraduate to postgraduate studies in diverse streams in Engineering / IT , Management /business, tourism, hospitality and more. But what is it all that makes Australia figure as one of the hot study destination let us get to the root. Australia is one of the most open and multicultural countries of the world that accommodates people of different ethnic, religious and language backgrounds. Australians are known to be warm and friendly and are seen to be more than happy to help out international students. With a decent hold on the accent, it may not be surprising if you make a few Aussie friends just in a matter of days. Australian education system is known for setting highest benchmarks in all areas of education and training. Their education standards are highly rated by employers and academics worldwide. Australian colleges and universities consistently rank highly for quality of education, student satisfaction and employment prospects. Though Australia boasts of a world class lifestyle and state of the art infrastructure Australia is far less expensive than UK or that matter U.S.A whether be it in terms of the costs of tuition fees, cost of living or food however this might vary from city to city and depend on one’s life style. Towards attracting rich pool of talented international students from all over the world Both Australian institutions and Government are offering a wide range of Scholarships across all fields of study that cover a student’s tuition fees, accommodation, living expenses and more. The sheer number of Scholarships offered is a testimony to the intent of the Australian government and institutions to promote Australia as a prime study abroad destination. Australian universities and colleges offer excellent research opportunities for undergraduate and post graduate students. These institutions maintain outstanding research facilities which can be put to most effective use to undertake path breaking research projects a reason why Australian institutions are highly preferred by research minded students. Australian educated international graduates are known to earn higher average salaries when compared to others. Australia also offers international students with excellent part-time job avenues towards building valuable work experience that comes handy in getting that coveted first job. Owing to the strong fundamentals of the Australian economy and the relatively low population a qualified candidate can land a job without much difficulty. Looking to secure admission to a top institution in Australia? Look no further. Santa Monica Study Abroad Pvt. Ltd, your most trusted overseas education consultant headquartered in Kochi is here to facilitate admissions to leading institutions in Australia. Our experienced and well informed overseas studies experts provide unbiased and accurate information about Institutions and study programs in Australia that fit your profile and budget. For more information on study abroad options in Australia, visit your nearest branch of Santa Monica Study Abroad or reach us on 0484-4140999. This entry was posted in Study abroad in Australia and tagged abroad studies, Austrlia on July 26, 2016 by Ronnie Fredrick Thimothy. Are you a student looking for quality overseas education or a parent keen on choosing the best program for your ward? There cannot be a better opportunity. 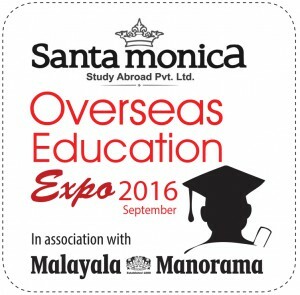 The Overseas Education Expo, September 2016, undoubtedly the biggest Overseas Education expo of South India jointly organized by Santa Monica study abroad Pvt. 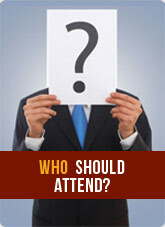 Ltd and Malayala Manorama, will be held on September 23rd and 24th at Hotel Taj Gateway, Kochi from 10 am – 6 Pm. The overseas Education Expo September, 2016 will offer unique opportunity for students to know more about quality overseas education and choose the best suitable programs and institutions. Over 60+ world renowned universities/institutions from 10+ developed countries will be participating and showcasing their niche programs and specializations. Students who have completed their 12th grade, those undergoing Bachelor’s degree or looking for a diploma or master’s programs are welcome. Undergraduate and post graduate admissions are possible in varied fields ranging from Engineering /IT, medicine, nursing / health care, Business, hospitality and tourism and more. WHAT ALL TO CARRY TO THE EXPO VENUE? This entry was posted in Overseas education expo September 2016 on July 20, 2016 by Ronnie Fredrick Thimothy. Are you a Doctor aiming a thriving medical career with high growth trajectory and exposure in the European Union? If the answer is yes then a Doctor’s adaptation program, jointly offered in Austria with the cooperation and partnership with Austrian Hospitals and language schools is the perfect one for you. The 2 year adaptation program includes up to 600 hours of theoretical classes and 300 + hours of practical training at Austrian and EU hospitals and clinics as per Austrian Medical system. These include Medical Terminology, Medical ethics, Austrian medical laws related to treatment, Patient care, and specific Medical program review courses along with German language classes. Initially one would start with the German language foundation course and then proceed to hospital visit which include observatory ship & limited practical training. Once the official state Nostrification (validation) document are received from the concerned Austrian authority, one will intimated about courses that needs to completed to further proceed with the medical part of the theory classes and remaining part of the practical. Upon completion of the program and passing the required exam, the qualification awarded is Doctor of Medicine – Austrian/European qualification, making one eligible to apply and obtain entry level or junior Doctor Position; and can start their medical specialization process in their chosen field at Austrian hospitals/clinics and other health care organization, based on their qualification. WHY OPT FOR A DOCTOR’S ADAPTATION PROGRAM IN AUSTRIA? Doctor’s adaptations programs in Austria are offered throughout the year with new batches starting every month. Need more information on Adaptation program for Doctors? Visit your nearest office of Santa Monica Study Abroad or reach us on 9961443399. This entry was posted in Adaptation program for Doctors abroad and tagged Doctors adaption program in Ausria on July 15, 2016 by Ronnie Fredrick Thimothy. There cannot be a single answer to the question that what attracts students from across the globe to study in New Zealand. The reasons are too many and vary to a large degree from student to student. Some choose New Zealand for its serenity and tranquility, others swear by its unique culture and picturesque locales, offering endless adventure and sporting opportunities. 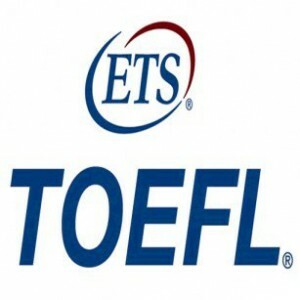 All these are key factors but the real reason for getting that priced tag of being one of the most sought after study abroad destination is its sheer quality of education system, rated highly across the globe that can be viewed at par with that of USA ,UK ,Canada and Australia to mention a few. New Zealand can boast of a robust education system, with institutions finding top positions in international rankings. The expertise and competency of the teaching staffs coupled with world class facilities makes New Zealand institutions increasingly popular among international students. There are 8 public universities in New Zealand that offers courses ranging from undergraduate programs to PhD and post doctoral courses all of which were ranked prominently in 2014- 2015 Times Higher Education World University Rankings. New Zealand also has 22 Institutes of Technology and Polytechnics that offer highly vocational and skill based courses ranging from certificate level through to Bachelors and Post Graduate level. There are also a growing number of private tertiary and training providers offering study options in diverse range of subjects. With the lowest cost of living among the developed nations and the opportunity to work 20 hours per week while studying and 40 hours during the summer holidays, New Zealand provides immense financial relief for international students who wish to budget their overall expenses towards their education in New Zealand. The New Zealand Government and New Zealand Universities provide a number of scholarships for international students who wish to study in New Zealand. One of the most notable among them is the New Zealand development Scholarships offered by the New Zealand to students from selected developing countries in Asia and Africa to gain knowledge and skills through post-graduate study in specific subject areas that will assist them in the development of their home country. 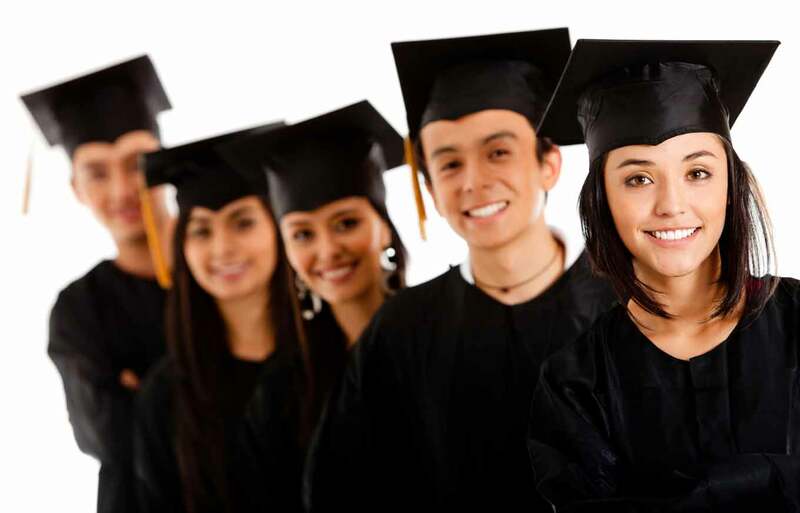 The scholarships cover tuition fees, travel costs, living allowance, and insurance. New Zealand institutions also have similar scholarships that come handy to International students. Excellent Employment prospects after graduation. Looking to secure admission to a top institution in New Zealand? Look no further. Santa Monica Study Abroad Pvt. Ltd, your most trusted overseas education consultant is here to facilitate admissions to leading institutions in New Zealand. Our experienced and well informed experts provide unbiased and accurate information about Institutions and study programs in New Zealand that fit your profile and budget. Santa Monica study Abroad Pvt. Ltd is an Education New Zealand Recognized Agency (ENZRA), the crown entity of New Zealand Government that takes care of Internationalization of education. For more information, visit your nearest branch of Santa Monica Study Abroad or call us on 0484-4140999. This entry was posted in Study abroad in NewZealand on July 8, 2016 by Ronnie Fredrick Thimothy.